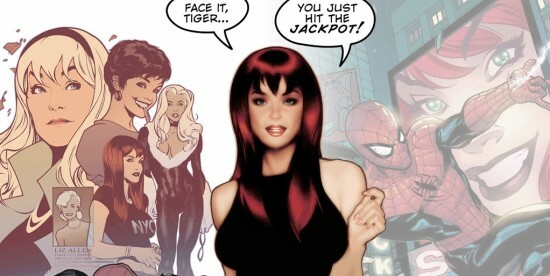 For almost every Spider-Man fan under the age of 30, Mary Jane Watson has been the primary yin to Peter Parker’s yang. So it was a bold move by Sony and Marc Webb to go back to Spider-Man’s first love, Gwen Stacy, for The Amazing Spider-Man. A move that properly introduced a character whose ultimate fate might be as important to the web-slinger as Uncle Ben’s murder was. It looks like Mary Jane Watson is back in Peter Parker’s life, as “The Descendants” star Shailene Woodley is in early talks to play the redheaded love interest in Sony’s “The Amazing Spider-Man 2.”… Character breakdowns have gone out to talent agencies, and Electro is rumored to be one of the villains the filmmakers are considering for the next installment of the hit comicbook franchise. Shailene Woodley is a fine actress, and even though she probably looks a bit young to be Garfield’s Mary Jane, she is one of the better choices for the role. If you are going to skew younger, at least you get the one ABC Family actress that has award nominations and discernible talent. It is sort of like finding another Anna Kendrick among the Twilight muck. Also note that it looks like Electro might finally be getting his time to shine in the sequel, and it looks like Peter’s best friend Harry Osbourne is also going to make an appearance in the sequel. Check out a more spoiler heavy prognostication for what the Mary Jane rumors mean for Emma Stone’s Gwen Stacy after the jump. Last year, Beenox took a drastic departure from the Spider-Man video game experience by not only taking the open world sandbox enviroment out of play, but also for the first time creating a game that had multiple Spider-Men at the player’s fingertips with Spider-Man: Shattered Dimensions. This year’s iteration of the Spider-Man franchise brings a different experience as well. While the Spider-Men in Shattered Dimensions all shared a common goal, their actions were independent of each other. Now, in Spider-Man: Edge of Time both Spider-Man and Spider-Man 2099 must work together to save the past as well as the future from a mad scientist who has interfered with the time stream by causing the death of Spider-Man. Much like the previous Spider-Man title, Spider-Man: Edge of Time focuses on contained levels instead of a free roaming city. The story is kept fairly on rails with little room for full exploration, though there are hidden collectibles that can be used to upgrade the powers of both Spider-Man and his 2099 counterpart throughout the game. As a result, the focus on much of the game revolves around combat. Last time we got behind the scenes with Val Kilmer and Laura Vandervoort about their roles as Spider-Man: Edge of Time’s top baddy and Mary Jane, respectively. Now, Beenox has released a special interview with the voice of Peter Parker a.k.a. The Amazing Spider-Man, Josh Keaton. Fans of Spider-Man will recognize Josh as the voice of Ultimate Spider-Man in Spider-Man: Shattered Dimensions as well as Spider-Man in both Marvel vs. Capcom 3 and the Spectacular Spider-Man animated series. Also in this series of interviews is Katee Sackhoff who voices the Black Cat. Along with its latest set of screen shots from PAX, Josh talks briefly about the encounters of Spider-Man: Edge of Time and how it will effect gameplay. As has been emphasized, actions taking place in the modern day will affect the world of 2099. He also talks about how the game is a race against time and if players don’t succeed, Spider-Man will die. One piece of information that is news to everyone from Katee Sackhoff’s interview is that the Black Cat appearing in the game isn’t everyone’s modern day Felicia Hardy, but instead is a future version of the Black Cat that has been cloned over and over. Visually, she doesn’t seem to have as drastic a visual change as the Spider-Men of each time period does. The cloning process has shattered some of her personality which keeps some aspects like the sexual tension between the two present but on top of a splintered psyche. Sixteen years ago, Joel Schumacher took the man who had stolen the show in Heat and Top Gun and transformed him into Batman. Val Kilmer was at what should have been the pinnacle of the super hero movie world. Instead he is remembered for being in one of the most poorly received super hero films that strayed so far from the original vision of the character that many will still shed a tear of sorrow for Batman Forever. Now, Val has turned to the dark side as he becomes Walker Sloan, an evil scientist of Alchemax. In Spider-Man: Edge of Time, Sloan will become the bane of existence for both the modern day Amazing Spider-Man as well as Spider-Man 2099 from his own time. Take a peek below at Kilmer’s behind the scenes interview as he explains the motivation behind Sload and how he becomes a man who might unmake the world in his own image. In addition to Val Kilmer, Beenox has released a behind the scenes video with Laura Vandervoort talking about her role as Mary Jane. Vandervoort herself is no stranger to the super hero or sci-fi world after her role as Kara / Brainiac / Linda Danvers on Smallville or Lisa on V. A number of actresses have tackled the Mary Jane role including Kirsten Dunst in the most recent film trilogy and singer/songwriter Lisa Loeb in MTV’s animated version. Take a look below at Vandervoort’s thoughts on the character as she talks about her respect for Mary Jane. Also get a quick peek at how the story itself not only crosses through time between Spider-Man and Spider-Man 2099 but the characters themselves even cross eras. Make sure to stick right here for more on Spider-Man: Edge of Time coming out October 4th for the XBox 360 and PlayStation 3.